India’s ace cueist Aditya Mehta bowed out of the Haikou World Open after losing to Scott Donaldson 4-5 in the first round here on Tuesday. 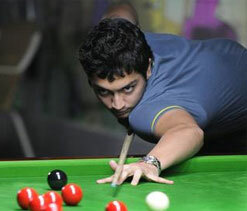 Aditya, world ranked 68th, gave a tough fight to the European Snooker Champion and took the game to the decider. "It was a cut-throat competition. From the beginning itself both of us struggled to bag each coming frame. It became neck breaking only after reaching 4-4. I must say Scott was lucky enough to grab the last frame. All in all, I did give him a tough fight," said Aditya after the loss. The Mumbai cueist will next be seen playing in Munich Open from January 2013.